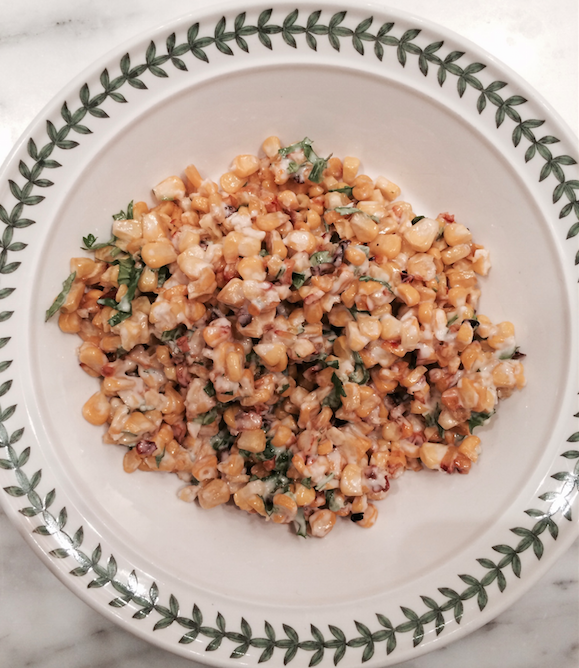 This is the perfect side to serve at barbecues or as a side to a Mexican-themed fiesta. Pre-heat oven to 400 degrees F. Rub ears of raw corn with a tablespoon of grapeseed oil or melted organic butter. Roast corn for 20 minutes until browned, turning them over once halfway through cooking time.